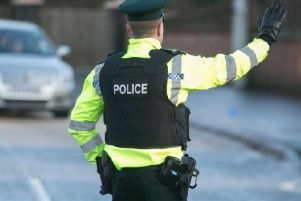 A 24-year-old man caught with cannabis and cocaine was sentenced to four months in prison last Friday at Craigavon Magistrates Court. John Thornbury, Ashgrove Drive, Lurgan, admitted unlawful possession of herbal cannabis and cocaine on December 2 last year. For the cannabis charge he was given a two month custodial term and a concurrent four month sentence was imposed on the cocaine charge. The court heard Thornbury was sitting in a car at 2.30am in a car park at Aghalee and police noticed a strong smell of cannabis coming from the vehicle. They found a small bag of cannabis and in the custody suite they uncovered a small bag containing a white powder. District Judge, Mrs Bernie Kelly, said that the report showed Thornbury did not want to change his lifestyle. “He can lie at home all day and every day with more than enough money to buy drugs,” she commented. A defence barrister said Thornbury had just started a job as a welder and he was very honest with probation admitting he was ‘hopelessly addicted’. Judge Kelly said cannabis was not having any effect and he had moved on to cocaine and told the defendant he would not see his 40th birthday. From the dock Thornbury said he didn’t ‘think that’s right’. The barrister added that his client would consent to community service. But Judge Kelly said that hadn’t worked in the past, telling Thornbury he had a ‘particularly poor’ record for drugs offences having added class A drugs on top of class B.